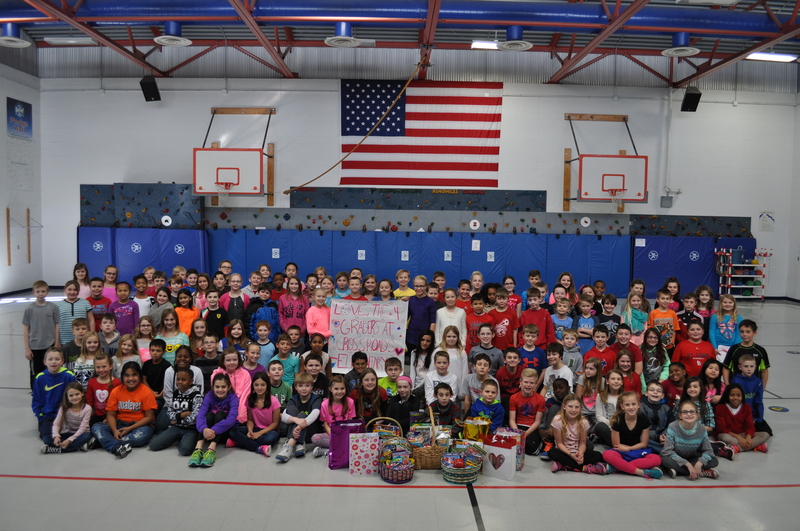 The entire 4th Grade class at Crossroads Elementary School, Wentzville School District, wanted to make something to help kids with cancer. These kids did a great job gathering lots of candy and small activities like puzzle books in several large baskets and gift bags. The kids in treatment will really enjoy these treats! Thank you Crossroads' 4th graders! You have a 'sweet spot' for these kids and will make a difference in their lives!